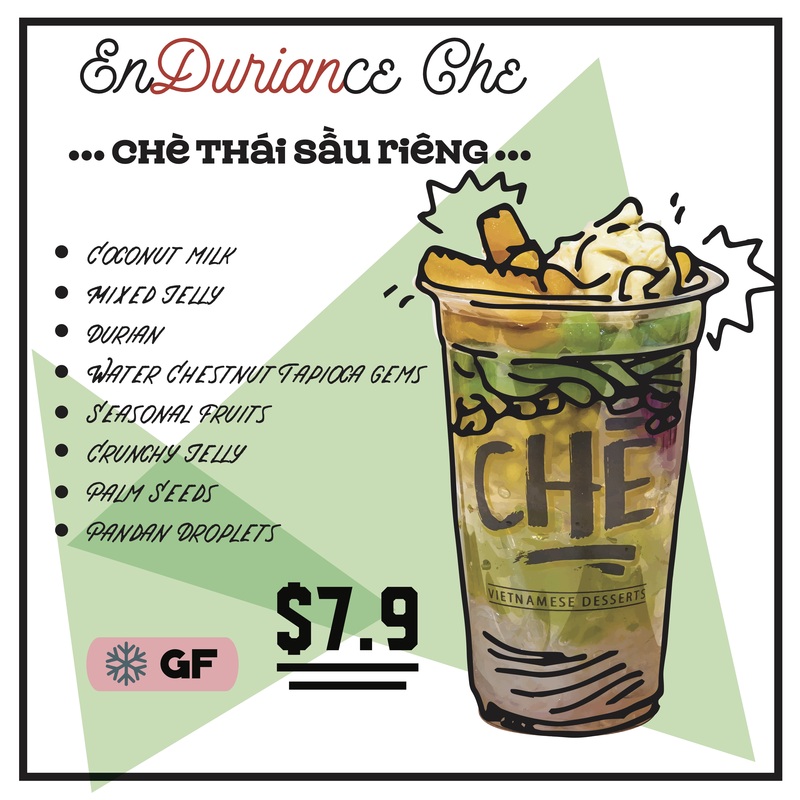 Starring durian, this refreshing and flavourful Che is a must-try to all lovers of this controversial fruit. But it’s not just all about durian. There is an abundant amount of seasonal fruits, including jackfruit and longan. There is a chewy bite of palm seeds. There is also a crunchy texture from agar jelly and white seaweed and the water chestnut gems. If you’re curious about durian, this is the best place to start your love for it. This Durian Dessert is Gluten Free. Unfortunately it contains dairy, but you can always replace the cream with the coconut milk and it’s equally amazing.